This month’s challenge for The Canadian Food Experience really had me spinning my wheels and asking myself the same question over and over again. “What IS my cherished Canadian Recipe?” Having grown up in a predominately Italian household I struggled to even determine what would make a recipe qualify as ‘Canadian’. Did it need to include Maple Syrup, venison or poutine in order to fit the bill? Would my mother’s gnocchi recipe not qualify (even though when I know she is making it I tend not to eat anything past breakfast so I can completely gorge myself on dinner)? I was born and raised in Alberta, so I contemplated putting forth my Auntie Dena’s meatloaf recipe which I always make with Alberta beef that my sister ships to me from her farm every year. If the ingredients are Canadian does that make the recipe Canadian? After a while, I decided that really there is no right answer. I am Canadian and even if this recipe happens to have been passed down to my mom from my Nona and then passed down onto me, it is still the Canadian recipe that I cherish the most. Why do I cherish it? There are many different answers to that question. The most obvious being that it is delicious and every single person who has ever tried it – loves it. The less obvious reason is because this recipe has so many different memories interwoven into it. My nona used to make these on her wood burning stove in the basement and as a child I wouldn’t even wait for them to fully cool on the counter before I ate them. My mom taught me how to make them and each time I make they get closer and closer to being as good as hers, but I know I still have a long way to go. And finally, my mom made them for dessert at my wedding and it was great to be able to share them with all my closest friends and family on such a wonderful day. You may be wondering what these delights are – well they are called Butterhorns and I am really excited to be sharing the recipe here again on my blog. Scalp one cup of milk in the microwave or in a small pot on the stove. Add 1 cup of butter, stir and then cool in the refrigerator until cool to the touch. 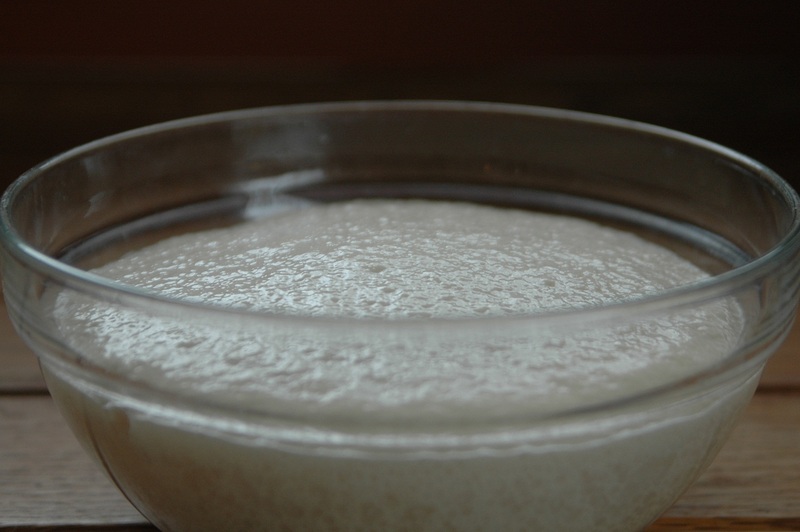 In a separate bowl combine lukewarm water, yeast and sugar and stir until fully mixed. Sit on the countertop for 10 minutes to allow the yeast to rise. 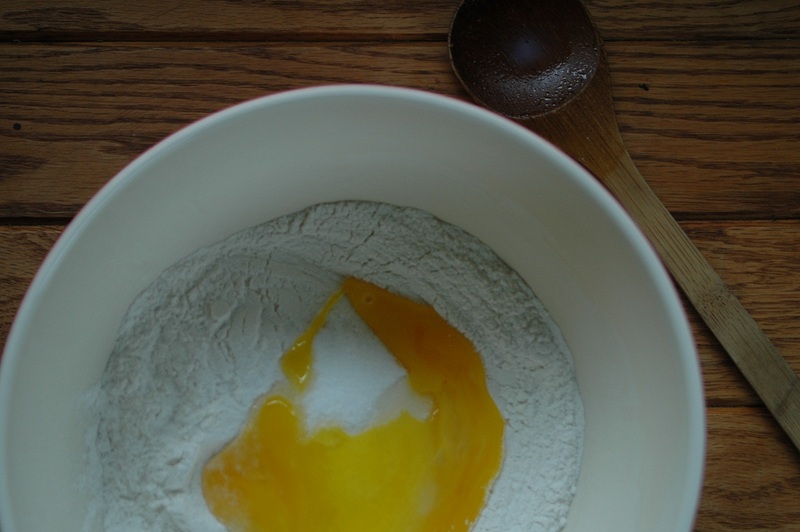 In a medium sized bowl, mix flour, sugar, salt and egg yolks and then add the fully risen yeast mixture and the cooled scalded butter/milk mixture. Stir until fully mixed. Cover the top of the bowl with saran wrap and leave in the fridge for approximately 5 hours or overnight. 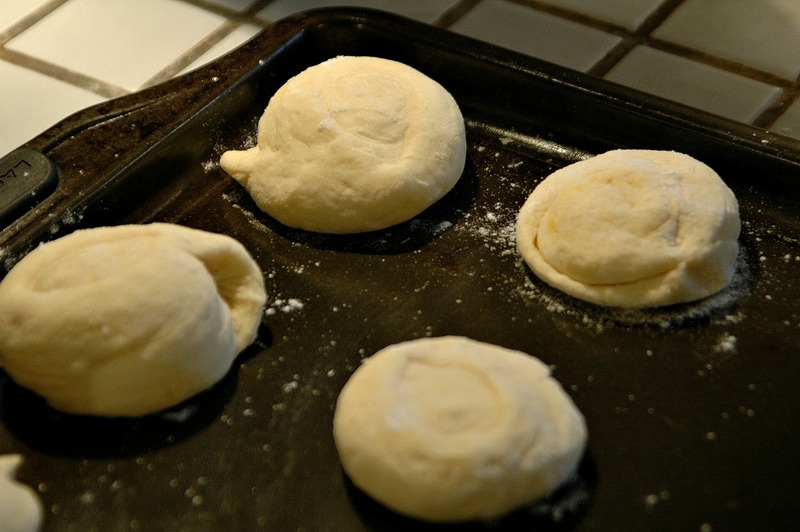 Remove the mixture from the fridge and on a large cutting board or flat surface, sprinking a light layer of flour to ensure the dough mixture does not stick. Cut a softball size piece of the mixture using a small knife and using a rolling pin, roll the mixture out to the size of a medium pizza (approximately 8-10 inches in diameter). 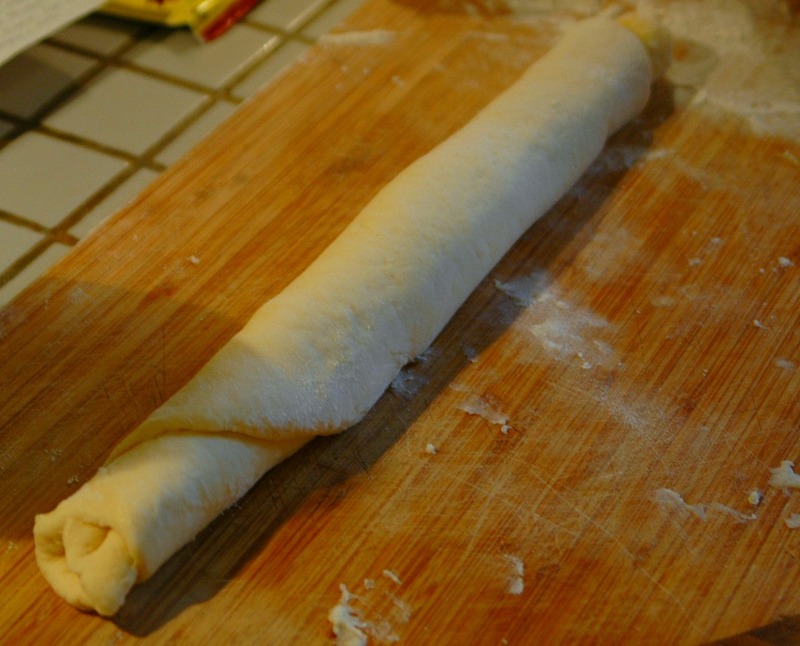 Grabbing one side of the mixture roll the dough into the shape of a sausage roll and cut into 2" strips. Take the individual strips and put down into a small flat ball and place on a cookie sheet coated with butter or non-stick cooking spray. Cover with clean dish towel and let rise for 40 minutes. Pre-heat oven to 350 degrees and cook for 20-25 minutes or until lightly browned. While the butterhorns are in the oven, prepare the icing mixture. Mix all ingredients in a small bowl including the walnuts. Add additional milk slowly if the mixture is not spreadable. Once butterhorns have cooked fully, remove from the oven and add the icing mixture immediately. And if these babies straight out of the oven with the icing sugar mixture still melting don't make your eyes roll back a little in your head, I don't know what will. So make yourself a batch, sit down somewhere nice and quiet and take a look at all the amazing Canadian stories being shared through the Canadian Food Experience from east to west. We hope to bring global clarity to our Canadian culinary identity.